The Santa Cruz MGC Pen is an excellent promotional item that works within any budget. This black medium point pen comes in a stylish matte metallic colored barrel that catches the onlooker’s attention. This retractable pen works on plunger action and features a rubberized grip for comfortable writing. 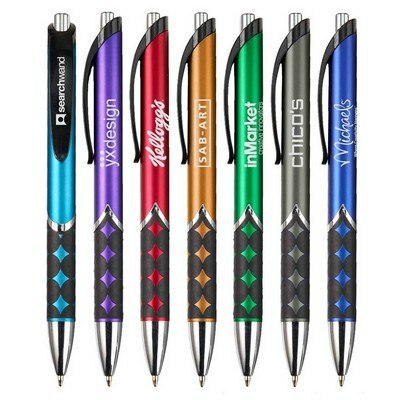 The pen is available in several attractive metallic colors to suit your marketing needs. Emblazon your company’s logo on the pen and give it away at trade fairs, seminars, conventions, community and corporate events to gain widespread recognition for your brand.